Some books aren’t at all what you expected—which can be good or bad. Today feature five books you read that were either a pleasant or nasty surprise. Almost exactly a year ago, I finally gave in and read a little series you might have heard of. It spawned a movie franchise and gave the world sparkly vampires, forbidden love and lots of rain. I have to say that I fall on the pro-Twilight side of the fence. I thought the books were much better than I imagined they would be. My two cents? Ms. Meyer is a very good writer that many people dismiss because of the topic. And, if I am being honest, these books jump-started me back into the world of reading, especially this wonderful genre of Young Adult. 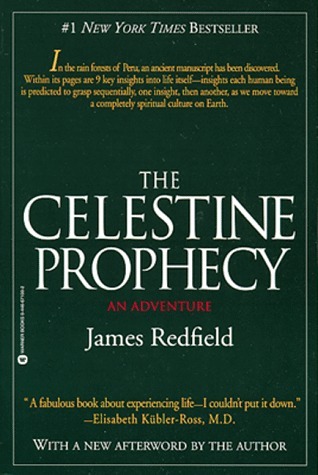 The Celestine Prophesy by James Redfield. I was in a book club at one time, and we each took turns choosing the book we were to read that month. I don’t know who chose this book, but it has remained at the top of my list of the worst written books I have ever read. Both the content and the writing were nails-on-the-chalkboard horrible. I know, I know. It was a New York Times Bestseller. But so was Jonathan Livingston Seagull and plenty of Danielle Steele books. Many angel/fallen angel/Nephilim books came out in the last few years. Some, like Cassandra Clare’s two series The Mortal Instruments and The Infernal Devices are incredibly well written with wonderful story lines. Others, for me, just didn’t make the grade. I don’t know if I just read too many at the same time or what, but I could go a long time before reading another book about angels. 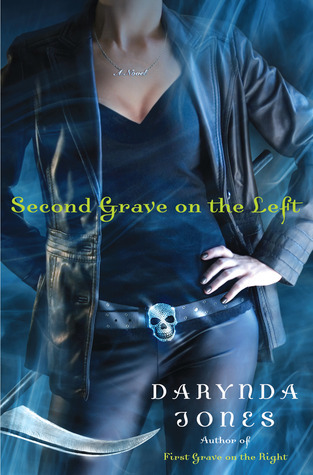 One of my most favorite series is Darynda Jones’ Charley Davidson series. These are adult books, not young adult. I didn’t know anything about the series when I picked it up at the library. I liked the cover, what can I say? 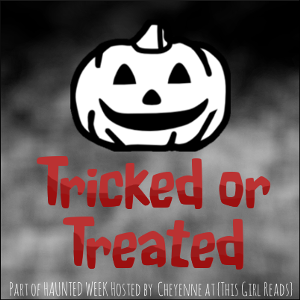 Snarky (but not so much that you want to poke out your eyes), steamy, and sometimes creepy, this series also has ghosts, mysteries and lots of secrets. Ms. Jones just published her first book in the Young Adult genre called Death and the Girl Next Door that I can’t wait to read. 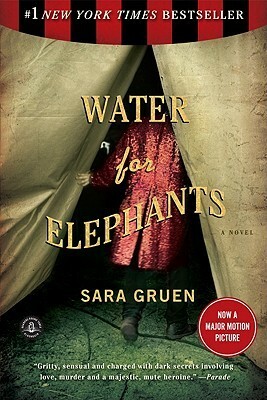 Water for Elephants by Sarah Gruen. An acquaintance loaned me her copy and said I had to read it (she also had read all the Twilight books, so I scoffed inwardly). It probably sat on my bedside table for three months before I started reading. Yes, it did take me a bit to get into it, but once I did, I was completely entranced. What are we talking about tomorrow? Why, tomorrow it is Written in the Tombstone. Come back! Oh there are definitely things I don’t like about the way characters do things, but I think because I had such low expectations originally, I was particularly pleased. I really do think she’s a very good writer, regardless of the story. I liked The Host, too, though it took me a while to get into it. Yes, the movie of Water for Elephants is really good. Christoph Waltz is so good at scary and Robert Pattinson is easy on the eyes. I love that time period, too. I’m neutral about Twilight. 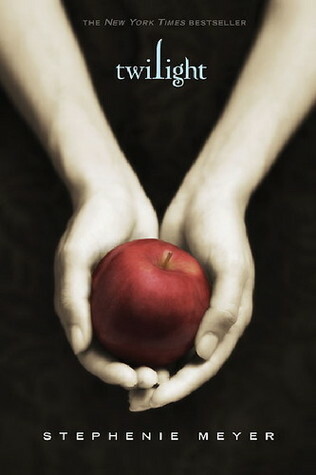 There were some things I liked about it and some things I really didn’t, like Bella. I enjoyed reading them, that’s for sure. I just don’t think I’ll be rereading them anytime soon. Yes, you definitely have to connect with the main characters. I think movies can ruin books, too – even though they are there own thing, when something is as big as this, it bleeds over into the books. Plus as soon as they put the pictures of the movie stars on the cover, you start picturing the characters that way. That’s why I am not a big fan of book covers with real photos of people on them.